Day Six of our Online Week is underway! Our first ever Online Week is almost over, so don’t wait! Take advantage of the savings NOW! 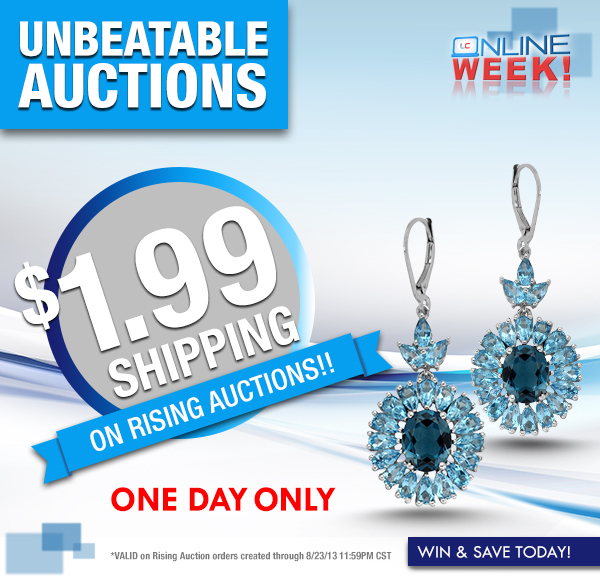 Today we’re featuring Unbeatable Auctions! For any auction item you win, you’ll only pay $1.99 shipping! So if you haven’t started bidding yet, head over to LiquidationChannel.com and join in the fun! “Hi, this is Phillip. I’m a designer here with at the LC. $1.99 shipping on every auction you win, today only!